Season’s greetings, WONKAnation! ‘Tis the season of giving, and guess what?!? 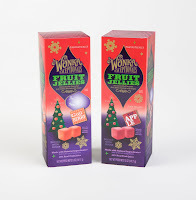 WONKA has the coolest chocolates for gifting this winter! 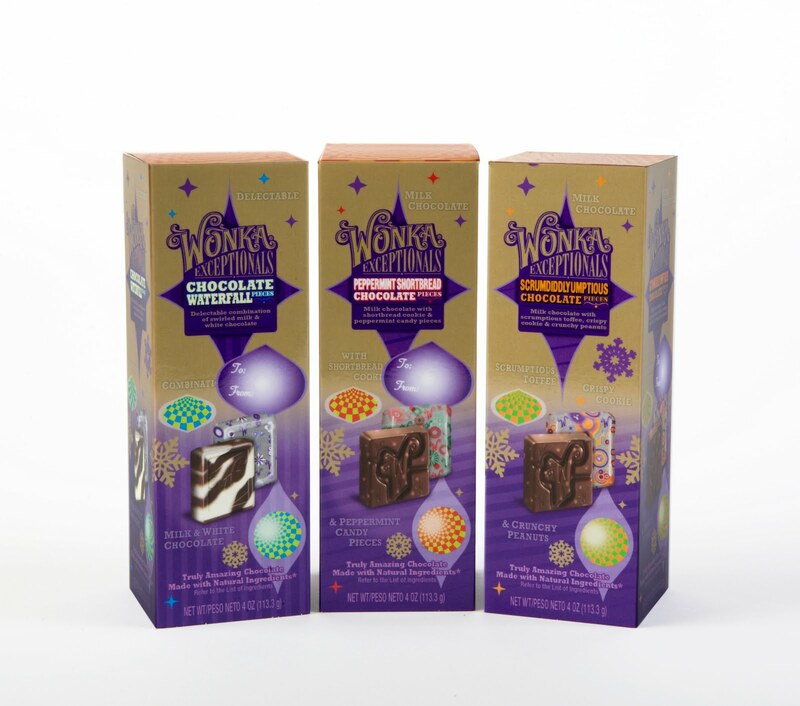 Surprise your mom, dad and friends with the chocolatey-est, mouth-watering WONKA Exceptionals holiday collection. Pick up some of these treats – including seasonal Peppermint Shortbread Chocolates – at local Target, Kroger and Kmart stores now. They make great gifts and stocking stuffers! You can also mix things up with fruity and fantastical WONKA Exceptionals Fruit Jellies, which come in two delightful flavors for the holidays: Goji Berry and Red Apple. The Oompa Loompas have something for every sweet tooth on your list! Don’t they all sound delicious? WONKA is excited to celebrate this winter with you, your family and friends! 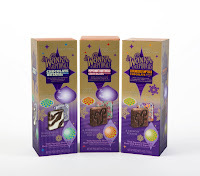 So go ahead and spread some WONKA cheer and give a box of superfantabulicious WONKA Exceptionals this holiday season! World's First WONKA Candy Store Comes to NYC! Calling all candy fanatics! 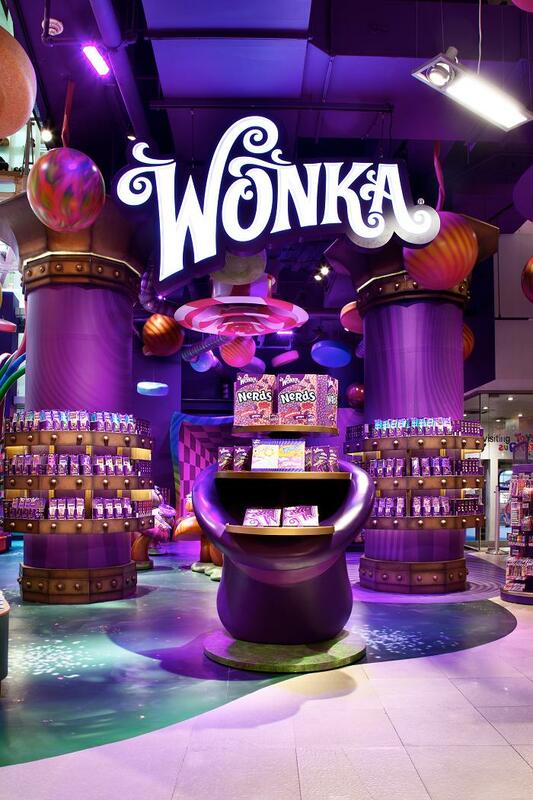 The first-ever WONKA candy store recently opened inside the world's largest toy store—Toys“R”Us—in New York City's Times Square! Located on level one, the WONKA candy shop invites you to pick Pixy Stix from a 21-foot tree, pluck Laffy Taffy and Fun Dip from pretty plastic flowers and even make your own customized bags from candy mushrooms filled with WONKA's 12 classic brands, including Nerds, Spree and Everlasting Gobstoppers and the brand new WONKA Exceptionals collection. How cool and delicious does that sound?!?! With candies dangling from the rafters and bulk-candy bins housed inside mushroom-shaped tables, the WONKA candy store is truly a piece of imagination come to life. A bonus for truly devoted WONKA fans—besides candy, of course—the new colorful candy store offers WONKA T-shirts, tasty lip-balms, and "whimsical stationary!" So what are you waiting for? Follow your nose to the chocolate-scent-filled WONKA store on 44th and Broadway to checkout this candy paradise for yourself! We’re all wrapped up here on Warped Tour 2010 and we wanted to thank you all for showing some love and being a part of our totally excellent, on-the-road experience! We loved meeting you all and having you be a part of our spectacular WONKAfied experience! Stay tuned though...we're not going anywhere. We hope to see you next year! The Best Venue Award Goes To…..
Well, Warped Tour has come to an end, but I MUST tell you about one of our last stops! We arrived at The Gorge in Washington State after a pretty rough trek from Boise, Idaho. As the bus brakes grinded underneath our bunks, for what is usually still pretty quiet moments, we heard a lot of stirring around. It was definitely the first time on tour where multiple people woke up early (6 a.m., anyone?) to wander around the venue to take a heavy hit of all its beauty. And was it ever! This place was by far the most BEAUTIFUL venue I have ever been to. The Gorge stage had this majestic backdrop of mountains falling into a river. The word “wow” was on repeat at catering. While most of the bands saved their final performances for the second day, Reverend Peyton and his Big Band decided to put on a special treat for fans and tour peeps the first day by inviting anyone that was a part of the tour to come on stage and perform with them for their last song of the set. It was an all-star sing-a-long with Andrew W.K. and his sparkling wife, Cherie Lily, The Pretty Reckless, The Casualties, Giuseppe from Haste The Day, Face to Face, etc. It was a beautiful spectacle and the audience joined in at the top of their lungs. We’re definitely sad that this spectacular adventure came to an end, but it’s mixed with extra joy that we got to be part of something so rad, and to have met and connected with all of these people. Luck for me and for you, we took a few photos to capture the madness in all its glory. We just spent a little time “downstairs” (what we call the bay area of the tour bus) sifting through a travel bag for a little somethin’ to make our simple black dresses and rockin’ outfits a little less simple. We have a Warped Tour BBQ tonight and we’d like to class it up. Warped Tour is a haven for self-expression and really what better place to let it all shine then a breeding ground for young talent, art, music, fashion, discovery and imagination. So we’ve set out to see what all of you wonderful Warped Tour and WONKA fans are reppin’ this summer. We see the stickers, the “Free Hugs” written in sharpie on your back, the vibrant splashes of paint on your faces and arms, and we see the bracelets. Male, female, band member or fan, most of you are rocking them on the left, right or both - and it looks awesome. What is the most popular of all you might wonder? Wonder no more, it is the rubber bracelet! Think “Live Strong” but morphed into hipster couture. Wrist couture, if you will. It seems like almost every band guy out here has one on (see photos below). Splashy colors with symbols or words, these rule the tour grounds this year. It’s all about making a statement of your own, but not being flashy – even if you do rock the bling. It’s all about you, your words and spreading positive messages. And they’re cheap! Rad and inexpensive. Can’t get much better than that…. Nothing is going to stop us now! WONKAnation has been rocking out at this year’s Warped Tour all summer. We’re now welcoming Hot Chelle Rae into the tent! They’ll be signing on a slew of fabulous dates until the end of the tour! Come meet them and get some free stuff. We’re building dreams and then living them here in the WONKA tent! You can too! Come see us across the U.S. and jam out with Kid Cedek and Warped bands, get free candy and more! On Warped Tour there is a wonderful sense of family that underlies everything. These people are the people you share bed time (a.k.a. bus call) with every night and wake up with every morning. We all here on tour share meals, stages, grounds, bathrooms, and good times. We are intertwined with each other’s lives for the eight weeks we spend out here on the road. We look out for each other and it’s all pretty awesome. Outside of the bubble, I don’t spend half as much time with some of my dearest friends and family. The added bonus to all of this summer camp and family love is having awesome bus mates who you share the closest quarters with. Our roomies are like getting extra cherries and chocolate sprinkles on your sundae. These people RULE, and it’s so sad when some of them have to leave. Recently we had to say goodbye to Nick and Justin from A Rocket to the Moon. Their acoustic Warped stint came to an end. They’re two of the raddest, sweetest and most stylish dudes that we’ve ever met. Please check out their band!. These guys deserve every bit of goodness that comes their way. We’re all going to have to sharpen our DJ skills now on the Bus. I think we can do it. After all, Kid Cedek, our WONKA tent DJ, sleeps on here too! Official up-to-date info of our confections, new innovations and exclusive news straight from WONKA. You'll find the latest and greatest regarding our one-of-a-kind creations, as well as where you can get your own scrumptious snacks. We’ll share it all with you. We want to help FEED YOUR IMAGINATION. You’ll also find info on WONKA events across the country. Stick around, because only here will you have the inside peek to the mystical and magical world of WONKA.